How Do You Clean A Swimming Pool Effortlessly? You might be yearning for a refreshing dip in your swimming pool after a long tiring day but swimming pools come with their own challenges. Mostly, swimming pool owners fail to maintain their pools in the right shape and that happens due to improper maintenance of the filter and wrong water hygiene. To clean your green swimming pool effortlessly, you have to start by bringing back the PH Scale to normal. Every swanky and expensive product, which you have already fitted in your swimming pool corrodes over time if the pool water turns acidic. On the other hand, if the water is highly alkaline, it can hinder and harm your vital body functioning such as digestion. To prevent the unneeded troubles, you have to balance the water PH scale. You can use some chemicals such sodium carbonate to attain the right water PH. Next, you have to be aware of algae. Blooming algae might be the primary reason for the sudden increase in the pool’s filter pressure. Algae might cover the whole swimming pool within one night and they grow very fast. To battle algae, use chlorine tablets. Algaecides are another viable option. 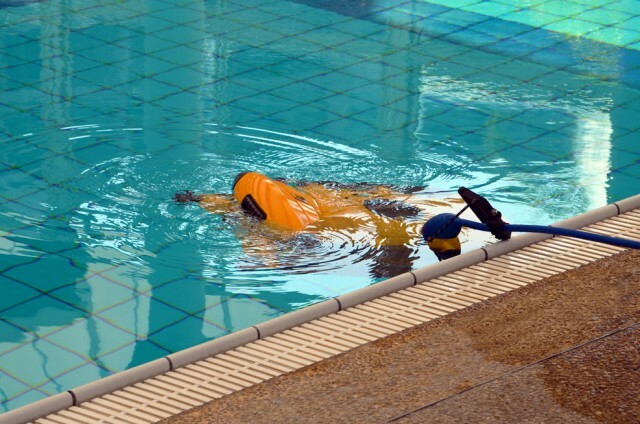 And because debris and dust are among the commonest contaminants in swimming pools, you have to use a pool cover. The cover will prevent the impurities from reaching the pool water. However, you have to remember that you have to maintain the pool cover as well. Clean them with quality vinyl protector. A filter is another important part of any swimming pool and you should select a water filter depending on the size of your swimming pool. Cartridge filters are the most popular because they are not only easier to install and maintain, but because they offer effective cleansing. The filters are easier to clean and you should use a garden horse to rinse them after two weeks. And if you need a cleaning robot to simplify the cleaning process of your green swimming pool, here are some of the robots to try. scans the swimming pool to determine the efficient path regardless of the surface or shape of your swimming pool. Its weekly timer features allows the product to run two-hour cycle automatically throughout the week. Also, the manufacturer equips the large top access filter system with full filter cartridge sets to allow filtration of small and large debris from the water leaving behind a clear and clean swimming pool. Presence of patented swivel cable is among the features that define Dolphin robots. The technology eliminates one of the most prevalent problems in the world of robotic cleaner technology because the cable rotates and spins at full 360 degrees while the robot moves in water – the cable never becomes tangled or kinked. Lastly, the robotic cleaner is completely independent of the pool’s filter and pump. That means you will use lesser power to clean your swimming pool. 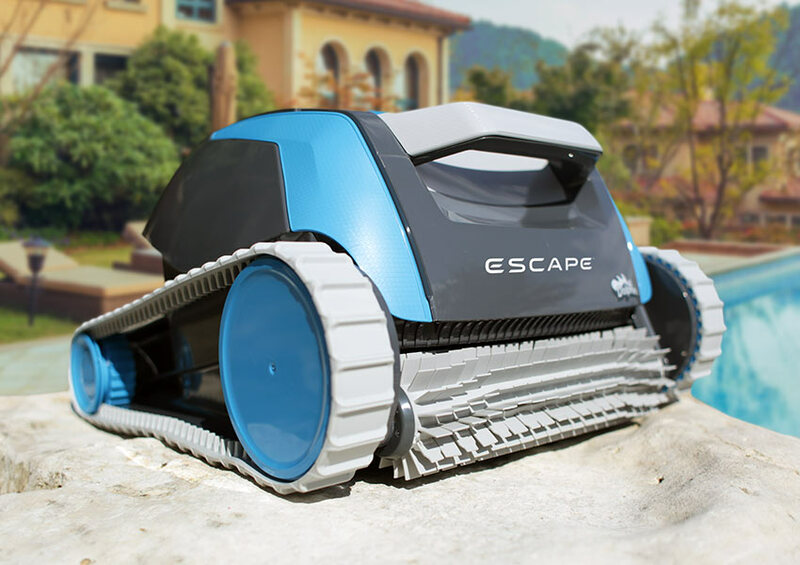 The “Dolphin Escape Robotic Above ground Pool Cleaner” keeps an entire swimming pool clean of algae and dirt with the innovative HyperBrush technology and the unparalleled dual 24 volts DC motor efficiency. The lightweight, ergonomic frame and the quick 1.5-hour cleaning cycle have made the machine perfect for all above ground pools. 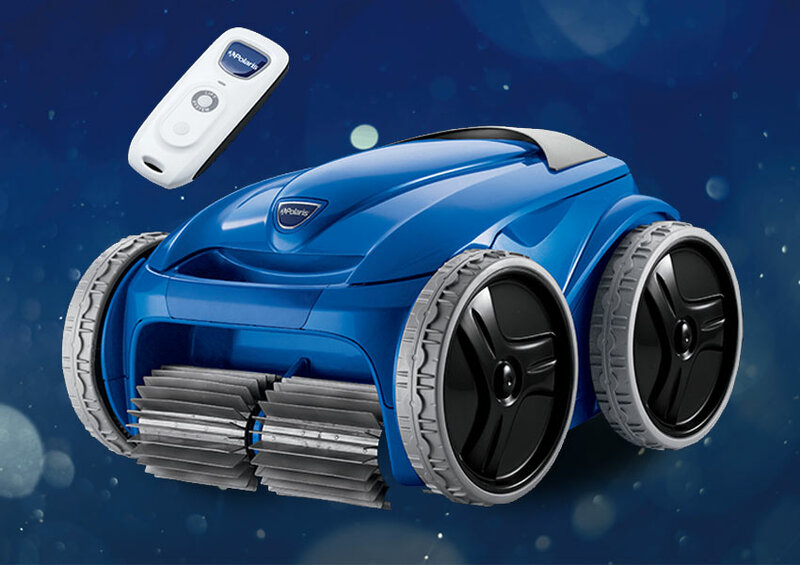 With the extreme value price and the one-year warranty coverage, the product is among the top-rated above ground swimming pool robots in the year 2018. Even more, you should not expect messy bags after the purchase. 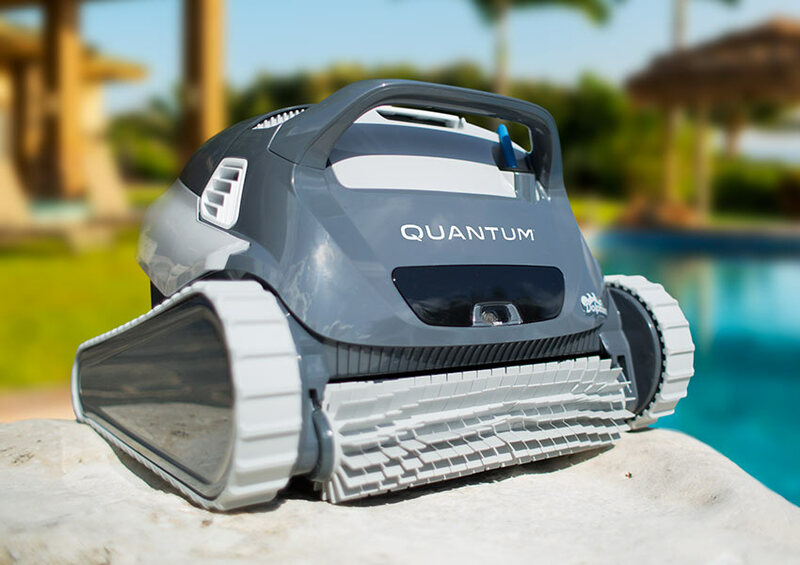 The “Dolphin Quantum Robotic Inground Pool Cleaner” has not only been leading the Dolphin lineup for a long time but has been among the top robotic pool cleaners in the market. Actually, it is easy to know why the product is an answer to most of your swimming pool needs. With its groundbreaking PowerJet 3D Mobility and efficiency level the machine is effective in its operations. In addition to delivering more, the Dolphin consumes lesser power. Its efficient state-of-the-art DC motor and the ingenious PowerJet 3D Mobility, the machine delivers exceptional user experience and reduces power consumption by over 87%. 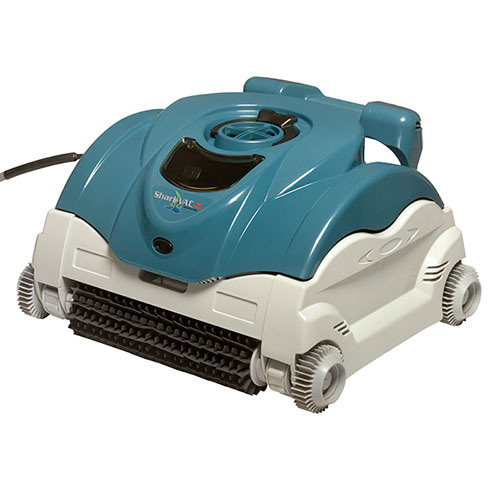 The manufacturer uses proven technology and high quality components to make the “Hayward RC9740WCCUB SharkVac XL Robotic Pool Cleaner”, which is among the pool cleaners that provide reliable and consistent results while maximizing the energy efficiency. The product covers the walls, floor, waterline, coves and its top-access filters and the low-profile design provide it with added bite. Whether you are looking for a machine to clean the pool coves or floor, you will get your desired results. The “Polaris 9450 Sport” offers the best-in-class features and cleaning performance. With the Vortex Vacuum Technology, which enables over-the-top cleaning power and maintains suction, the F9450 Pool Cleaner tackles various pool terrains and climbs obstacles without halting. In addition to cleaning all types of pool surfaces, the pool cleaner scrubs the walls, the floor, tile line with pleated scrubbing brush. The machine’s all-purpose filter canister has 4 times the capacity of similar cleaners and therefore you will require lesser filters and the operation costs will be low. The manufacturer has engineered the cleaner with top access larger capacity filter canister to allow easier emptying of debris with simple shake-and-spray convenience. And to ensure that the user does not touch debris during the cleaning process, the manufacturer includes a 7-day programmable timer with customizable cleaning cycles. You just need to set the cleaning process and forget about it. With the ActivMotion Sensor, the machine can automatically detect its position in the swimming pool, adapt a path for optimum cleaning, and reduce cord tangling. The device surfaces with a single touch of a button to your desired location and waits for you to pick it.